People are Working From Home More Often. Is That a Good Thing? According to a recent study, people are working more hours than ever before. And quite often they’re working from home. A new Bureau of Labor Statistics report found that on average 38 percent of business, finance and management professionals complete some or all of their work remotely. That’s a far cry from just a few years ago when, in 2010, just two percent of employees did their work remotely. What’s responsible for the climb in remote working arrangements? It’s no secret people appreciate more flexibility when it comes to their hours, but employers are actually starting to accommodate. Nearly 7 in 10 hiring managers use workplace flexibility programs to recruit and retain talent, while nearly a third of companies invested in expanding or introducing such flex programs last year. But more flexibility can be a double-edged sword for employees. A recent Ernst & Young study found that a majority of people are extended beyond the traditional 40 hour work week. Sixty-seven percent are logging anywhere from 2 – 5 hours more per week, as work and home life converges. Punished for working from home? What’s more, some employees worry that working from home carries a stigma that can have a detrimental impact on their career. In the same EY survey, nearly 1 in ten U.S. workers feel they have “suffered a negative consequence as a result of having a flexible work schedule.” For millennials, the stigma may be even more harsh. One in six reported being publicly or privately reprimanded, losing out on promotions or other internal opportunities, and losing their jobs entirely. 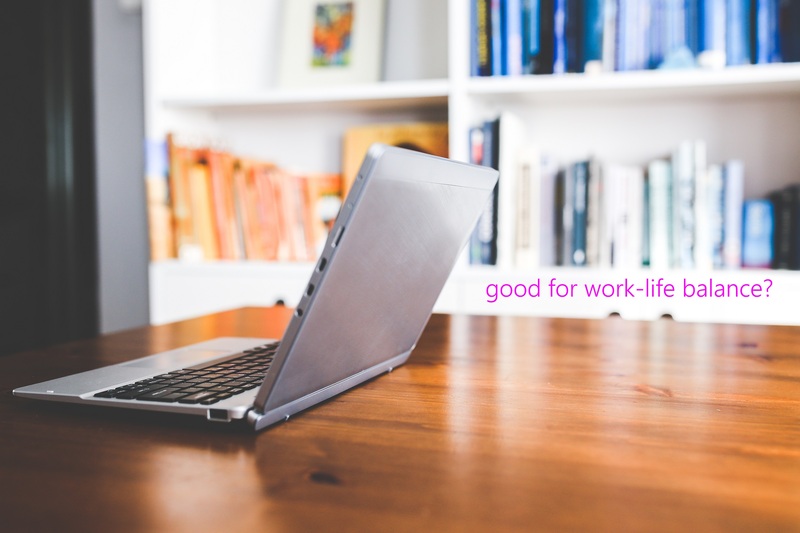 Even as awareness of holistic work practices grows and companies try to optimize for employee happiness, work-life balance has arguably never been harder to achieve than it is now. If it exists at all.